We often hear about its benefits, but is red wine healthy for you? Does red wine lower blood pressure? And is red wine good for your heart? If enjoyed in moderation, the answer to all of these questions is yes. Just like a good blend, consumption should be a delicate balance. 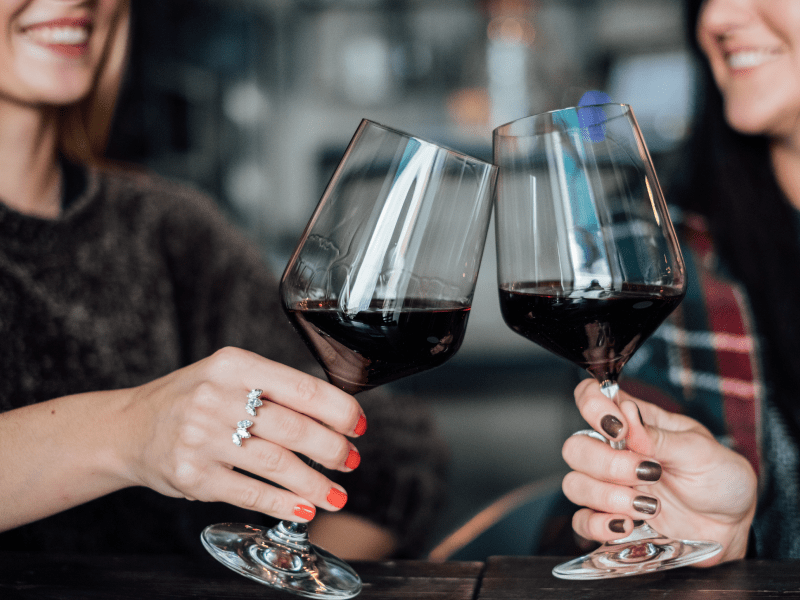 So before you break open your bottomless box ‘o wine, remember: Consuming large amounts of alcohol can cause liver damage and increase your risk for heart disease. What’s the fuss over polyphenols? 2 types of polyphenols—caffeic and p-Coumaric acids—are bacteria-fighting superstars when it comes to your teeth and gums. They act as probiotics, using good bacteria to fight the bad, cavity-causing bacteria. Polyphenols also give out anti-adhesive substances, preventing pathogens from sticking to your smile.What makes red better than white? The polyphenols in red wine are 10 times stronger compared to white wine. That’s because reds are made using the entire grape, whereas whites are made using only the juice.Keep in mind that the amount of polyphenols found in one glass are minuscule compared to the ones found in your daily dose of fruits and veggies. Some studies suggest that resveratrol found in reds may help another red—your blood. It’s linked to low inflammation levels, and may help decrease blood clots and damage to blood vessels. As one of the most powerful antioxidants in red wine, quercetin keeps your heart healthy by regulating blood pressure levels. It also may reduce cholesterol, inflammation and oxidative stress. Remember, a glass of red wine can never replace a healthy lifestyle. Here’s to your health!